Ni no Kuni II: Revenant Kingdom’s season pass content didn’t get off to a great start. Fortunately, things seemed to have picked up steam with free DLC and the gradual roll out of season pass content. 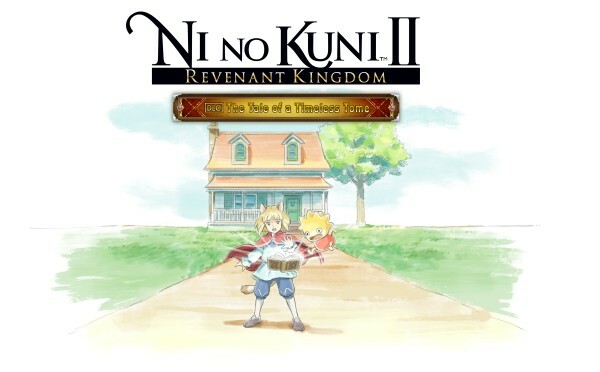 This momentum hasn’t slowed, as Bandai Namco and Level-5 have announced plans to launch Ni no Kuni II’s second major DLC on March 19, 2019. The DLC, “The Tale of the Timeless Tome,” will offer new character episodes, Pandora Night (a new arena), and additional Martial Methods for combat. During the eloquently titled upcoming DLC, players should expect to learn the truth behind the “taintedness” that corrupted Ni no Kuni’s monarchs. In addition, Evan will run into a familiar face from the first game, a tuxedo-wearing rabbit who refers to himself as the “Conductor.” Apparently, this character, who Evan meets while asleep in the Dreaming Chamomile Inn, will serve as a new companion of some sort. Also being introduced is two new Martial Methods, the battle style that debuted in “The Lair of the Lost Lord” DLC. The two new Martial Methods, Wizard’s Companion and Martha’s Method, will allow players to evolve their battle style. Presently, the kind of powers that lie within these methods remains to be seen. Finally, the Solosseum Slog battle arena is set to debut. In it, players will be able to participate in high-difficulty battles. According to Bandai Namco, these “time-attack battles” reward players for how quickly they’re able to clear out enemies in the arena. To enjoy “The Tale of the Timeless Tome,” be sure you have at least played through the first five chapters of Ni no Kuni II’s main storyline.